The original event has been enhanced with Guest Stars, daily meetings and snacks. I’ll be blogging about each day here and on my own site. 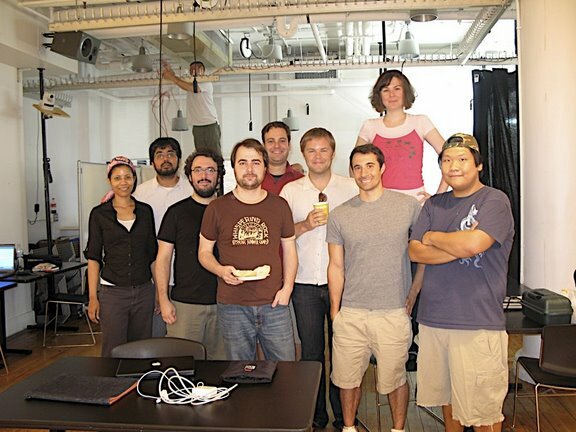 From Left to Right: Armanda, Vikram, Andy, Adam, Corey, Josh, Christian, Kristin and Rob. My head is poking up behind Corey’s shoulder.